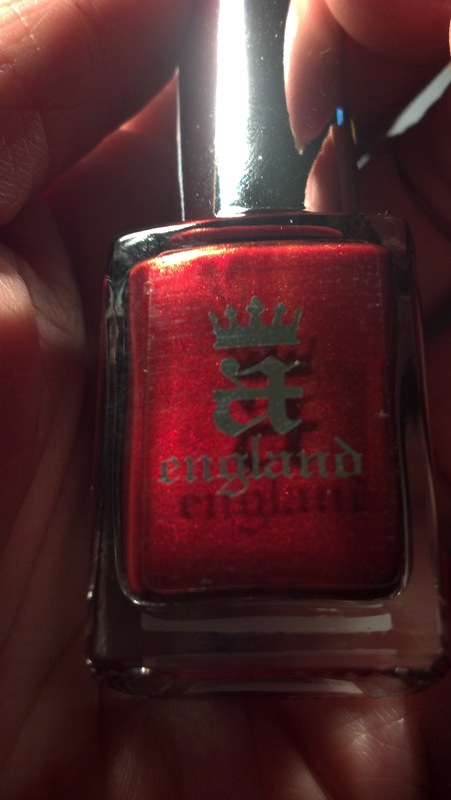 I was sent a england Percival to review from llarowe!! So without further ado...here is Percival! First let me say WOW. 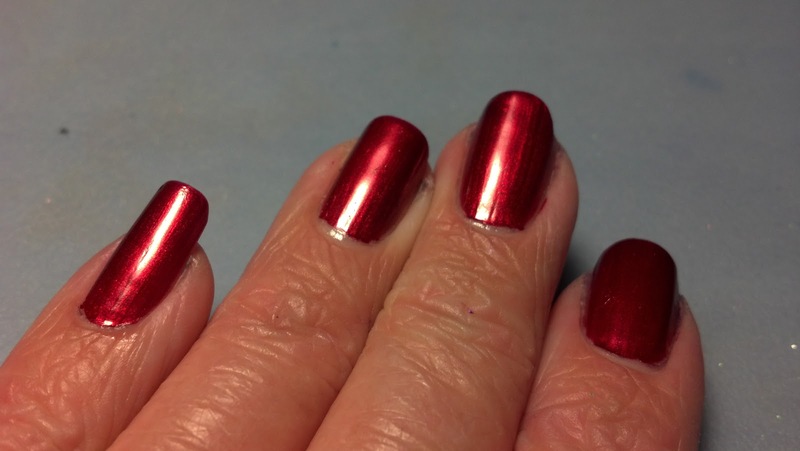 This polish not only applied flawlessly in one single coat, it is BEAUTIFUL. 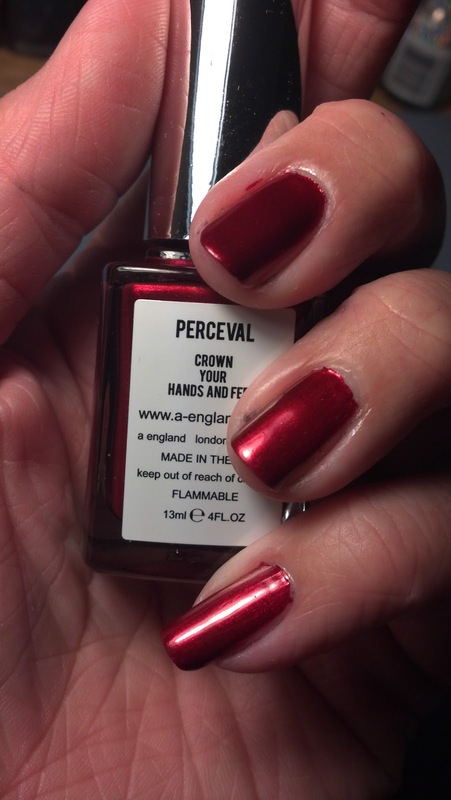 I received both Avalon and Percival to review from llarowe and I though Avalon would be my favorite, but Percival won me over. 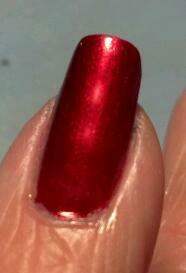 It has a metallic, almost slightly shimmery finish that I could not capture well in pictures. I also did a comparison to OPI I'm Not Really a Waitress (INRAW). Scroll to the bottom for that comparison video. While they are VERY close in color and shade, INRAW just doesn't have the same finish that Percival does. 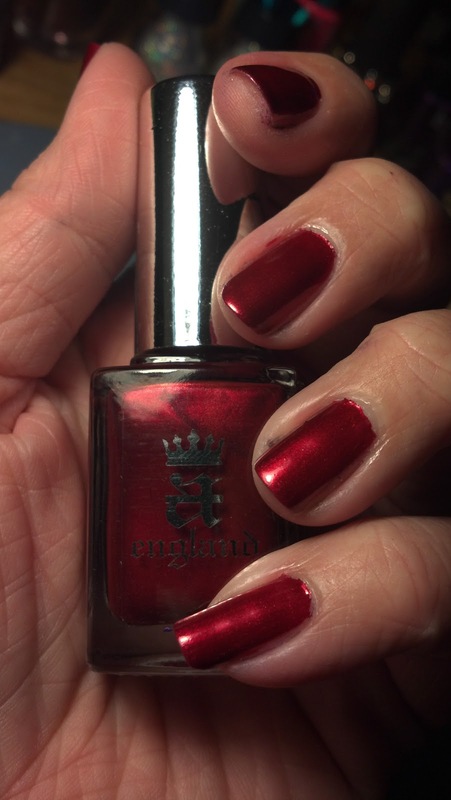 After reviewing these two polishes, Lady of the Lake and Tristam just LEAPED to the top of my want list....I want them bad. If you would like me to do a comparison of Percival to another red, check my stash list and leave me a message if I have it. I'll be more than happy to update the blog with more comparisons. I think INRAW is the closest red I have to Percival but I wouldn't give up either. Below is the comparison between a england Percival and OPI I'm Not Really a Waitress, as you can see they are VERY close but percival has a slight fuchsia tint to it and a much more metallic/shimmery finish. View on youtube in 720HD for better detail. 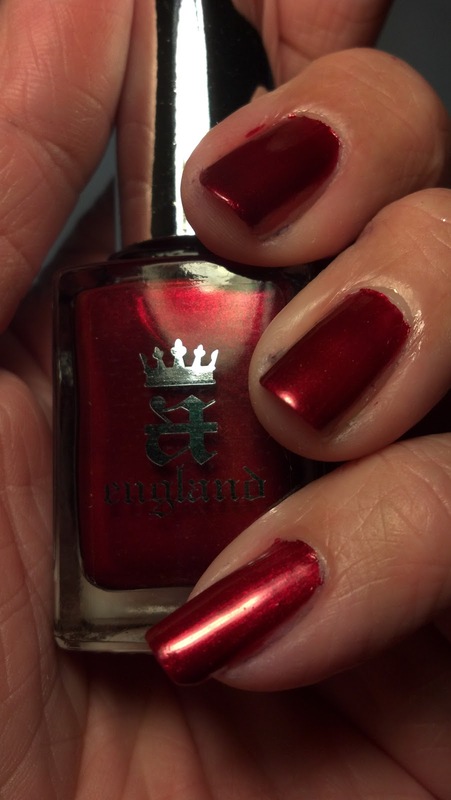 You can purchase a england polishes at llarowe, she has incredible service and her shipping is very reasonable and fast! wow, very pretty! I'm getting in love with A England polishes...I don't have any yet but I want Avalone...and this red is also gorgeous!